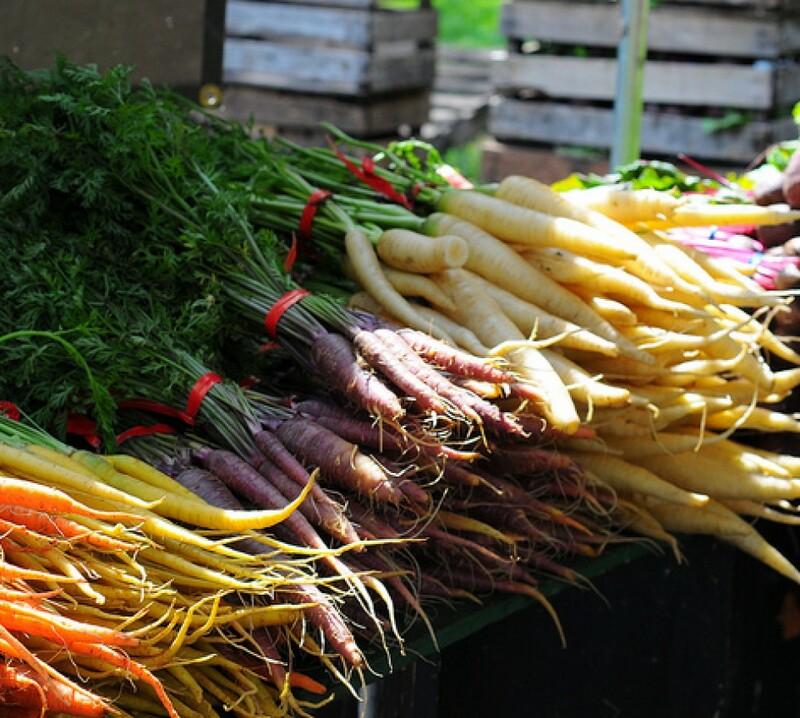 Sure, I wait as anxiously for the first good summer tomatoes and sweet corn as much as the next guy, but I look forward to the arrival of fava beans at the farmers market more than anything else. There’s something beguiling about those curvy pods, something satisfying about slowly slipping the beans out and peeling off their little jackets (if you’re curious, I don’t blanch them before peeling – it has never made much sense to me, and doesn’t seem to save much time or effort). I love eating them raw, with a bit of salt and lemon juice sprinkled on, or tossed on the grill whole until the pods are charred and smoky, but when I cook them indoors I try to keep things very simple, placing them into a pan with olive oil, some softened chopped shallot, a crumbled chile arbol (or chile flakes), and a sprig or two of herb like thyme or savory – a preparation which borrows heavily from Suzanne Goin’s prepararation in Sunday Suppers at Lucques. I cooked these for just a few minutes, until they were bright green and buttery soft, then I tossed them with some hot cooked farro and a simple lemon vinaigrette. 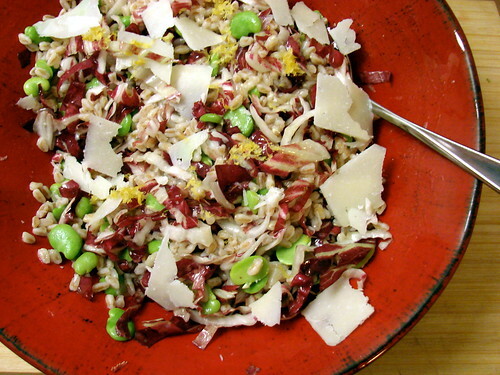 I had a small head of Treviso radicchio in the fridge, which I cut into ribbons and tossed in to add a nice bitter component, and I shaved plenty of sharp, salty Pecorino Romano over the top before serving. Though I didn’t think to do it last night, I suspect some toasted, chopped hazelnuts would have been a nice addition, providing a little bit of crunch. Funny how different the seasons are! 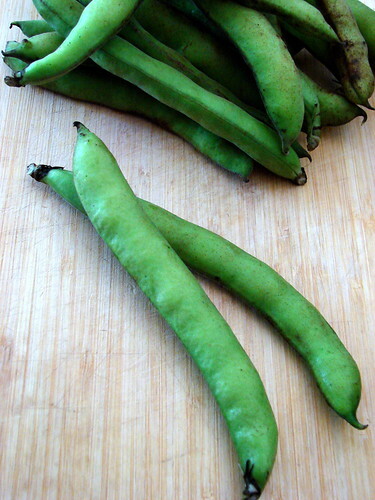 Fava beans are a winter crop here and are now pretty much gone from the markets. Grilled the first of the summer sweet corn from Brentwood this week and tomatoes are starting to get tasty. OMG you peeled them! You get the blue ribbon. 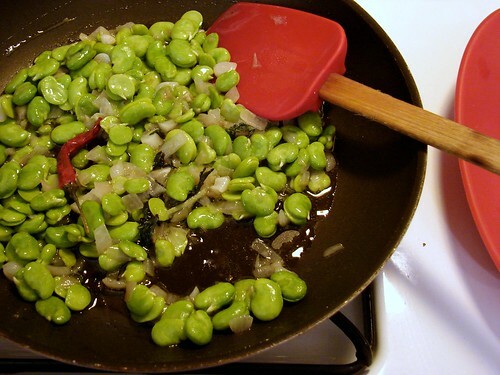 I adore fava beans. Yummy. 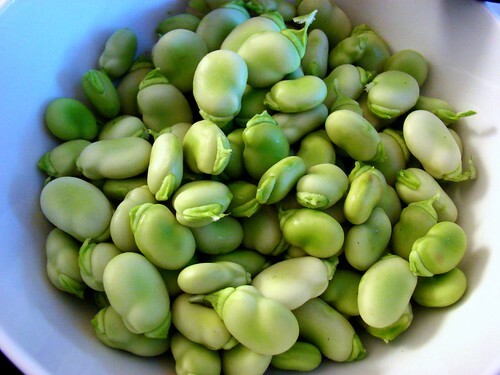 The first time I got fava beans in my CSA box I traded them back because I was absolutely TERRIFIED that I would have an allergic reaction and die. While trying to figure out how to cook them I ran across the tidbit of info about the severity of the situation if you are allergic and worked myself into a completely irrational tizzy. I want to lick my monitor. That looks wonderful. Lovely photos! This looks so good- and it’s funny because I use this method for cooking lots of green veggies, like asparagus and green beans.! Looks and sounds delicious: gorgeous photos and even a recipe too! Don’t give up on your blog. I love your photography and your passion about food.